BOEN is known for a long and proud tradition of craftsmanship, based on respect for nature’s resources. 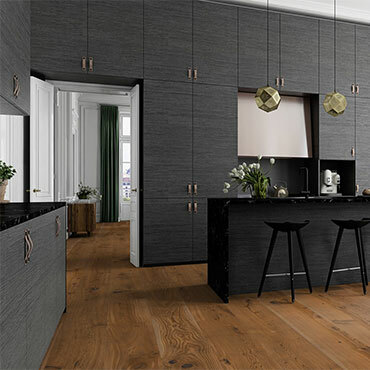 As a major international supplier of high-end hardwood flooring, we have also made a commitment to inspire and guide the consumer to achieve a consistent interior style. Boen Bruk AS began manufacturing mosaic and solid wood flooring in 1953 progressing to multi-layer prefinished hardwood flooring in 1966. 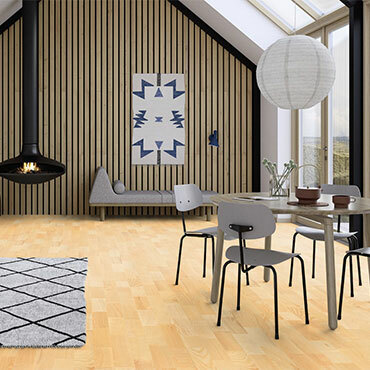 The knowledge we acquired during those many years, is drawn on today when manufacturing our multi-layered hardwood flooring which comes in a range of thicknesses from 10-23mm. 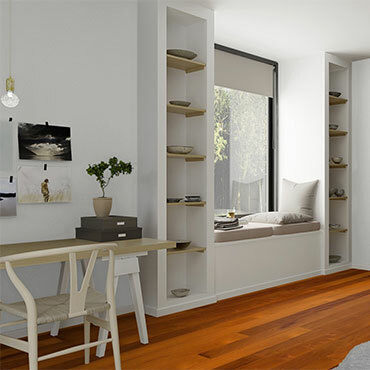 Boens wood specialists and engineers have a vast knowledge of the effect the climate has on wood. This important factor has played a significant role in our choice of technology and techniques. Boen have themselves developed and built many of the principal machines used in the production process. Boens' own standards are on average considerably higher than those which are generally practiced in the production of parquet. Wood continually expands and contracts in accordance with changes in humidity. Many attempts have been made to hinder the movement of the hardwood strips, but none have been totally successful. The thicker and wider the staves are, the greater the variation experienced. 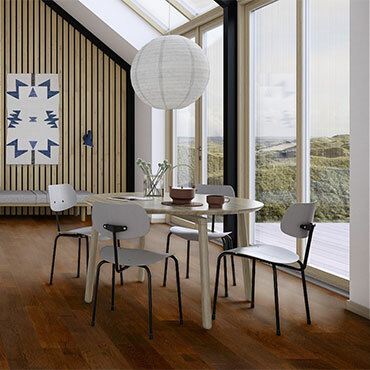 Parquet incorporates a top layer of hardwood which will inevitably be affected by humidity. 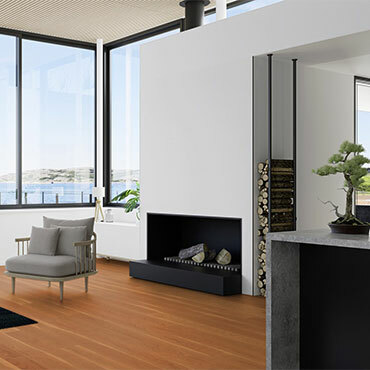 With this in mind, Boen has chosen a construction that has proven to be the best with respect to sideways stability and flatness under differing humidity conditions. Comparison tests show that Boen multi layer hardwood has very little convex and concave movement. This is due to a combination of narrow strips, correct composition of the blocking layer, a very good adhesion process and continuous follow-up based on Boens Quality Control System. 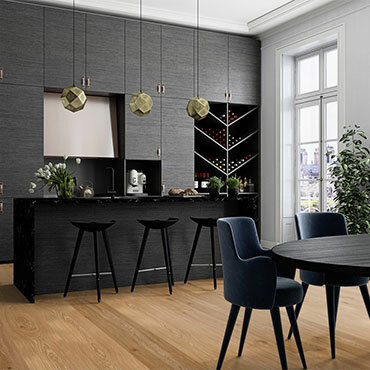 All Boens multi layer hardwood flooring products are constructed in such a way that they are stable when laid and it is a matter of course that our parquet can be enjoyed by many generations to come.